Looking for a healthy meal out? 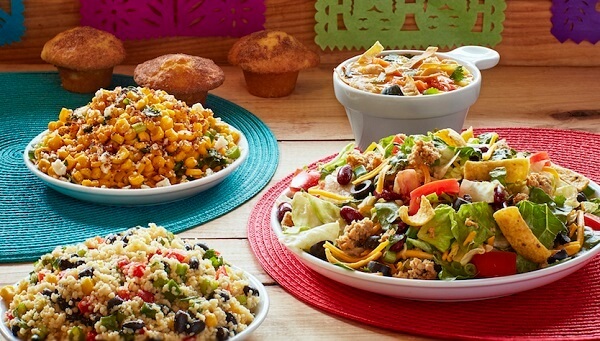 Head to Souplantation or Sweet Tomatoes. Their salad bar and buffet have deliciously healthy meals for all to enjoy. 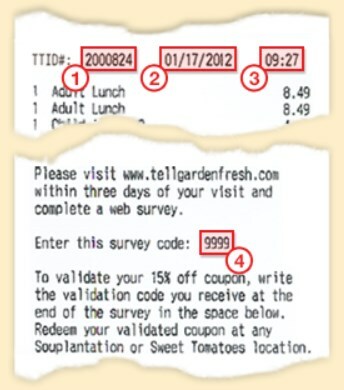 If you’ve recently dined at their restaurant, you can take the TellGardenFresh survey for a 15% off coupon on your next visit. Does Anyone Else Like Eating At Souplantation? Want to hear something awesome? There aren’t any rules for this survey! 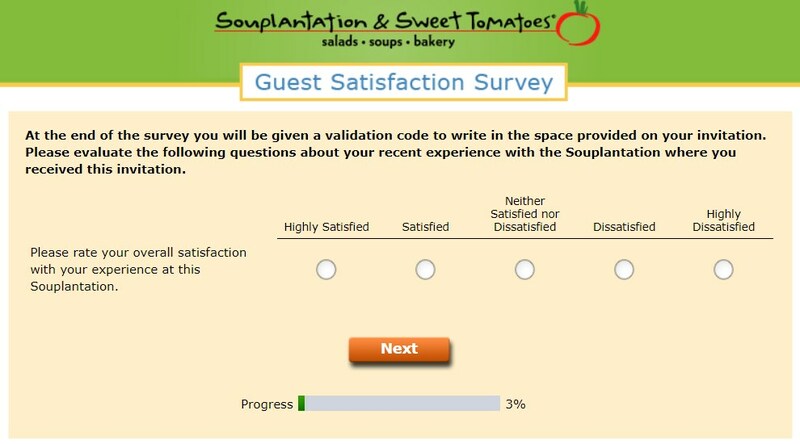 Souplantation and Sweet Tomatoes simply want to improve their service so your experience is better the next time you have some food at their restaurants. All you have to have is a receipt from your previous transaction and you’ll be all good to take the TellGardenFresh survey. What was your overall satisfaction with your experience at this restaurant? Did the cashier give you a warm and friendly greeting? Were you thanked and invited to return? How was the cleanliness of the restroom? What about the appearance of the staff? 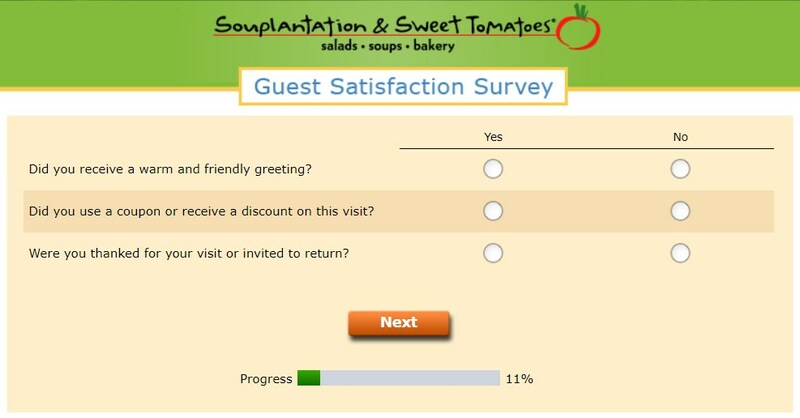 Is there anything else you can add to the TellGardenFresh survey that will help them improve your experience next time? 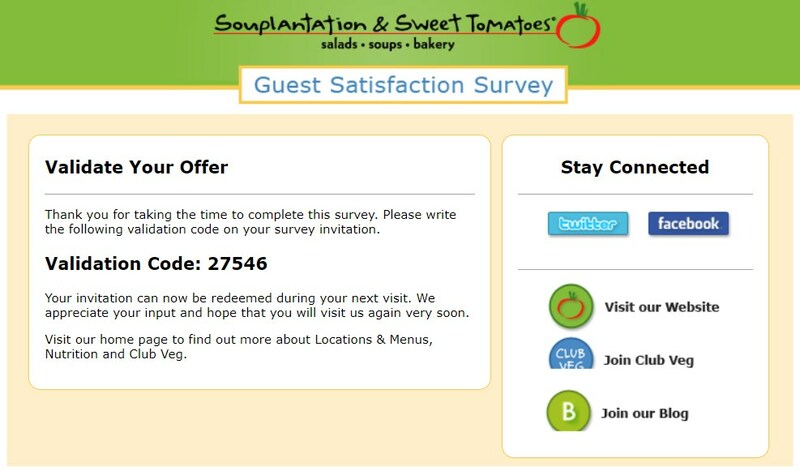 How likely is it that you’ll return to this Souplantation or Sweet Tomatoes in the next 30 days? 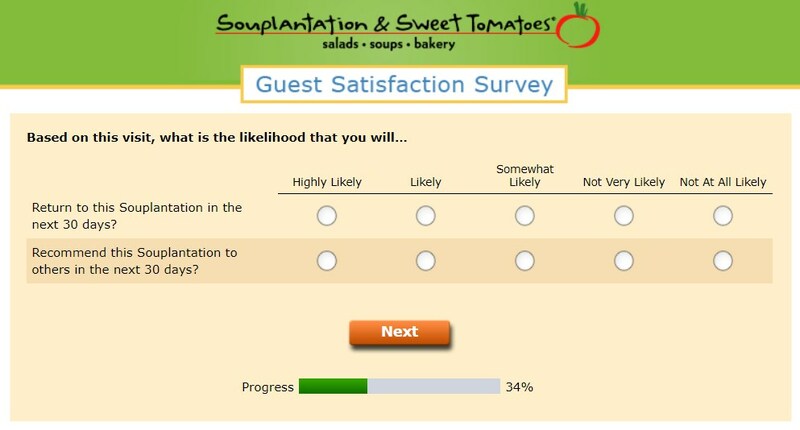 How likely is it that you’ll recommend this Sweet Tomatoes or Souplantation in the next 30 days? The company was founded in San Diego, California in 1978 by two surfer friends and prides itself on a menu with diverse, healthy options for its customers. One of the co-founders, Dennis Jay, was a bartender in El Cajon before he decided to pursue his dream and set up the restaurant. Today they have 97 locations, which are all company owned. They’re primarily based in California and the southwestern states. However, if you’re outside of Cali, you’re likely to know it as Sweet Tomatoes. Not only is their food is made in house, from scratch, using homemade recipes and farm-fresh ingredients, but they also have everything from soups to salads, as well as pasta/lasagna. They even have a bakery with both sweet and savory goods. I was really impressed with their ample choice of vegan, vegetarian, and gluten-free options. The most awesome thing about their menu though is the Interactive Menu they feature on their website. You simply put in your needs, i.e. energizing foods, sodium savvy, healthy weight control, etc. and it creates a custom menu specifically tailored to your input. Not only is this great for those specific allergies, it’s great for people like me who can’t help but sometimes pick the most delicious, less healthy option. Hey, if I don’t see it, I don’t buy it. They’re even rocking a pretty cool cook at home section for when you need a little inspiration on how to cook healthy homecooked meals, check them out on the website! There’re heaps of recipe card categories including vegetarian, gluten-free and southwest themed (yum)! 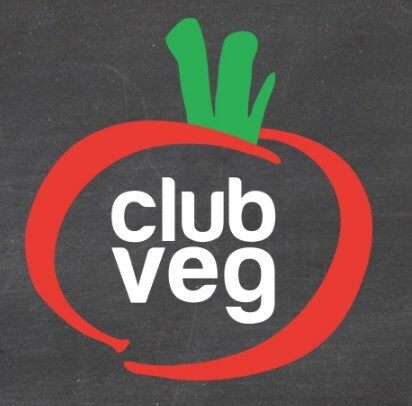 Though they don’t really have a loyalty program like many other restaurants, they do have their mailing list, Club Veg, where you are emailed special offers and deals. They also offer a welcome coupon when you sign up, though I did sign up myself to see exactly what they were offering, and nothing ever came through ☹. In late March of 2007, several cases among an E. coli outbreak were linked to one of the restaurants in San Diego. There were about 15 cases in total and one woman who had fallen sick after eating at the restaurant sued the company. 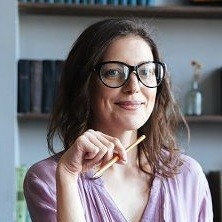 Though she did later test negative of E. coli, these things are never good for business! Both Souplantation and Sweet Tomatoes were owned by parent company Garden Fresh Restaurant Corporation, who, in 2017, filed for bankruptcy. They claimed that the decline in their business was due to factors such as escalating labor costs and rent. This sadly resulted in them having to close about 30 stores. They ended up being bought out by a company called Cerberus Capital Management LP (who don’t sound very foody). The new boss appears to be optimistic about the opportunities for growth for the company and is switching things up with management in an effort to bring the company back to life. I guess only time will tell what the future has in store for this health-based restaurant. 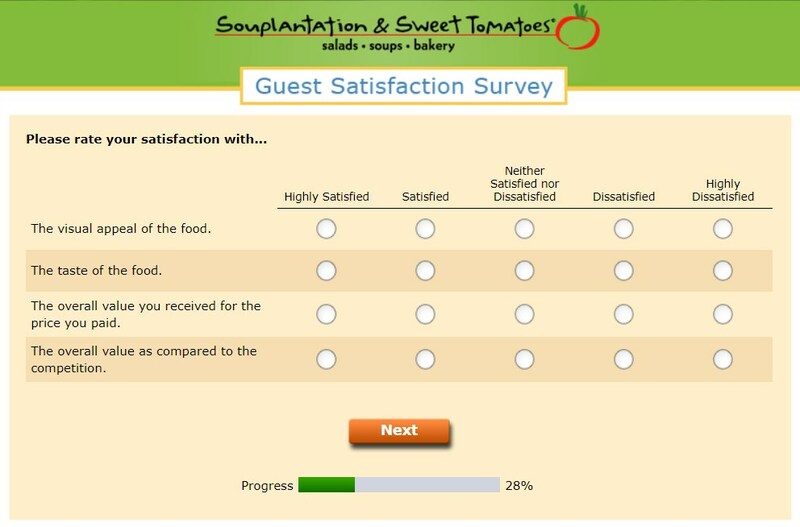 With that being said, if you want to see Souplantation stick around for the future, take the TellGardenFresh survey. That way they can improve their dining experience so more people will eat at their restaurants! Otherwise, you can read their FAQs to see if your question has already been answered. Or, you can use their store locator to find a restaurant near you. 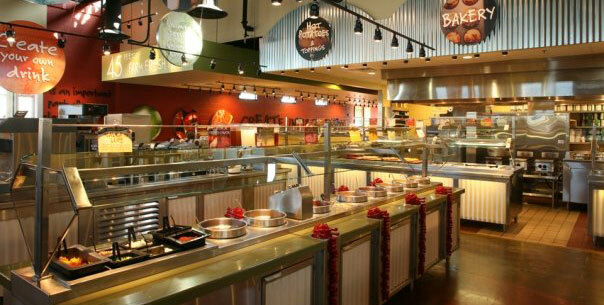 Lastly, you can give Souplantation’s customer care team a call directly on 1-844-402-4409.